Hyperbaric Oxygen Therapy relieves the oxygen starvation of the brain known as hypoxia. Since full blood circulation to specific areas of the brain is impaired, increasing the rate at which oxygen diffuses into all of the body's fluids increases the amount of oxygen carried to the hypoxic brain tissues. Oxygen enriched cerebrospinal fluid will help to repair any recoverable brain tissue that is intact but not functioning normal. In many cases, HBOT has shown these idling neurons have started to function more efficiently, producing long-term improvements in both brain and clinical function. With the improvement of micro circulation and the relief of any brain swelling, a patient can experience a reduction in spasticity and an improvement in cognitive ability, vision, gross and fine motor skills, hearing and speech. The brain now has the ability to learn and to process thought into actions. Depending on the age at the time of injury, many times the therapies now are able to be put into action. The patient may also now be able to go through the many stages of neurological steps. This steps may be skipping, crawling, standing, reactions as the brain now is going through a catch up stage of learning. With the permanent new blood supply the effects of HBOT will go on and on. Some patients will suddenly be able to put into action a certain physical therapy or neuro-therapy, which never seemed to have an influence before. In some, the most significant improvements are often seen when the HBOT is over; in some cases weeks later. Sadly, sometimes HBOT does not get the live saving recognition, acknowledgement, and credit it so well deserves. The possible effect of clinical recovery on regional cerebral blood flow deficits in Fibromyalgia: a prospective study with semi quantitative Brain SPECT Scan. Adiguzel O, Kaptanoglu E, Turgut B, Nacitarhan V.
Department of Rheumatology, Cumhuriyet University, Sivas, Turkey. OBJECTIVES: Regional deficits in cerebral blood flow have been reported in a few studies of Fibromyalgia; however, there is no information on the effects of treatment and clinical recovery on these abnormalities. We evaluated the effects of amitriptyline treatment and consequent clinical recovery on cerebral blood flow changes in Fibromyalgia. METHODS: We assessed cerebral blood flow with a semi quantitative functional brain mapping technique of single-photon emission computed tomography in 14 patients with primary Fibromyalgia before and after 3 months of amitriptyline treatment. Patients were followed by visual analog scale, tender point count, and Beck Depression Inventory for clinical improvement. RESULTS: There was statistically significant improvement in visual analog scale and tender point count after treatment. Beck Depression Inventory did not change significantly. Statistically significant blood flow increase in bilateral hemithalami and basal ganglia and decrease in bilateral temporal, left temporo-occipital, and right occipital lobes were observed on single-photon emission computed tomography after treatment. CONCLUSIONS: We speculate that these findings could indicate that deficits in cerebral blood flow in Fibromyalgia improve parallel to clinical recovery. Hyperbaric Oxygen Improves blood flow to the brain. April 23, 2009 (HealthDay News) -- New research suggests that scientists are close to developing a simple way to measure oxygen levels in tumors, giving doctors a heads-up about what kind of treatment is best for individual patients. The findings fit into an emerging trend of individualized treatment for patients with cancer instead of treating people the same way, said Dr. Mark Dewhirst, a professor of radiation oncology at Duke University Medical Center. "If successful, [the trend] will revolutionize the way that we treat cancer," said Dewhirst, who co-wrote a commentary accompanying the new study, published April 22 in the Journal of Clinical Investigation. Scientists began realizing the important role of oxygen in tumors about 50 years ago, said study co-author James Mitchell, branch chief of radiation biology at the U.S. National Cancer Institute's Center for Cancer Research. The scientists discovered that tumors with higher concentrations of oxygen were more susceptible to radiation, he said. "Radiation damages cells by causing damage to DNA, and one particular type of damage renders the DNA molecule non-reparable," Mitchell said. But less oxygen in the tumor allows tumor cells to survive more easily by making the DNA destruction process more difficult, he said. According to Dewhirst, the same is true for chemotherapy drugs, which also don't work as well when tumors have less oxygen. Lower levels of oxygen create other problems, Dewhirst. "One would think at first that lack of oxygen would make tumors unhealthy and easy to kill," he said. "But actually, the opposite happens -- tumor cells that lack oxygen become more aggressive and more difficult to kill." Tumors with lower oxygen levels even spread more easily through the body, he said. Doctors can check oxygen levels in patients by inserting a needle. But doctors can't insert needles into some patients, and. in others, it's difficult to insert the needle deep enough, Mitchell said. In the new study, the researchers tested a scanning technique called pulsed electron paramagnetic resonance imaging and used it in tandem with magnetic resonance imaging. The study authors said they were able to successfully measure oxygen levels in tumors in mice by using the non-invasive technology. "The imaging that is described in this study provides all of the information necessary to evaluate oxygen levels in tumors as well as to examine underlying causes for the lack of oxygen," Dewhirst said. "The fact that all of the imaging is completely non-invasive provides the ability to perform this measurement more than once, (meaning) this could be used to monitor the effectiveness of cancer therapy." There are caveats, however. The research hasn't reached the human testing level yet, and it may not work in people. "Scaling up the method to make it suitable for use in humans will be a significant challenge, but not impossible," Dewhirst said. For now, the plan is to launch more studies with animals to see if the technique works as a way to test cancer drugs. Nearly 1 in 5 younger siblings of children with an autism spectrum disorder (ASD, sometimes known just as autism) will eventually develop their own autism spectrum disorder, according to a new study. The new data from researchers at University of California-Davis MIND Institute and Autism Speaks found that 19 percent of younger siblings of children with ASD developed autism, a rate significantly higher than the general population. If there were two children with autism in the family, the risk of the third sibling developing an autism spectrum disorder increased to more than 32 percent. This is the largest known study of younger siblings of children who have autism, and included 664 infants from 12 U.S. and Canadian sites who were evaluated as early as 6 months of age and followed until age 36 months. “It has been well established that siblings of children with ASD are at higher risk for developing the disorder, but our estimates of the recurrence rate had been based on much smaller samples,” explained Autism Speaks Director of Research for Environmental Sciences Alycia Halladay, Ph.D. The study found that the risk of an ASD diagnosis for male infants who had an older sibling with ASD was almost three times greater than the risk for female infants (26 percent compared to 9 percent). The study did not find any increase in risk associated with the gender of the older sibling, severity of the older sibling’s symptoms, or other parent characteristics such as parental age, socio-economic status or race/ethnicity. “By pulling together data from many investigators who are studying infant siblings of children with autism, these results offer a more accurate estimate of the recurrence rate for autism in siblings,” says Autism Speaks Chief Science Officer Geraldine Dawson, Ph.D. The High Risk Baby Siblings Research Consortium, now engaging 25 scientists at 21 institutions in the U.S., Canada, Israel and the UK, is a partnership between Autism Speaks and the National Institutes of Health, led by the National Institute of Child Health & Human Development. The study, entitled “Recurrence Risk for Autism Spectrum Disorders: A Baby Siblings Research Consortium Study,” was published online today in the journal Pediatrics and will appear in the September issue. Many of the physicians in our group have been working with a 23 year-old female with a complex recent medical presentation. She was diagnose with Cronhs Disease at the age of 15. Prior therapies had included 5-ASA medications, 6-MP, infliximab, and adalimumab. She had complications of infection/sepsis after initiating adalimumab. She eventually underwent colectomy with a Hartman's pouch, complicated by an intrasphincteric fistulas, involving the Hartman's pouch, and necessitating a completion proctectomy in 12/2009. The proctectomy was complicated by wound dehisence and poor wound healing at the umbilicus, as well as in the perineum. Antibiotics and wound debridements were not helpful. She was being treated with low dose methotrexate, as well as low-dose prednisone for secondary adrenal insufficiency. In June 2010, she began hyberbaric oxygen therapy to attempt to improve wound healing. The umbilical wound healed, but the perineal wound continued to be problematic. It was thought that the wound would partially heal, leading to the accumulation of infected fluid in the perineal cavity. An EUA was performed, and found a deep sinus tract reaching into the sacral hollow. Granulation tissue was present, but there was no evidence of healing. The depth of the wound at this time was approximately 22-25cms, and a picture of an endoscopic examination of the wound is seen below. The patient had not tolerated a wound vac in the past, due to significant pain, especially with dressing changes. However, it was thought that there was potential for the wound to heal. The decision was made to have the patient undergo woundvac changes under propofol sedation. In addition, the tissue in the sinus tract was manipulated using different methods, in order to stimulate the formation of granulation tissue and healing. Scraping and abrasion was performed with a gauze covered hemostat, a biopsy brush through the instrument channel of a endoscope, and APC (argon plasm a coagulation). The photo below shows progress about 1/2 way through the treatment sessions, which occurred twice a week, and coincided with woundvac changes. The wound continued to show improvement, in both size and granulation. At the most recent woundvac changing, the depth of the cavity had improved to only 4-5cm, and a picture of the lining of the sinus tract is below. There has not been much interval change over the past few treatment sessions, and we are considering another trial of hyperbaric oxygen in order to complete the healing process. I though this was an interesting case, using creative and multimodal means to address a very complex and severe Crohn's disease related issue that is not often seen in practice. 1: Curr Urol Rep. 2005 May;6(3):228-34. Basler JW, Jenkins C, Swanson G.
Department of Urology, University of Texas Health Sciences Center, MC7845, 7703 Floyd Curl Drive, San Antonio, TX 78229-3900, USA. Most urologic malignancies are diagnosed initially and managed by urologists. However, better outcomes may be attained by integrating the surgical, medical, and radiologic disciplines. The primary care physician remains an important cornerstone whose talents should not be underestimated in the overall patient management scheme. Additional services such as endocrinology, physical therapy, pain control, hospice, nutrition, biofeedback, and Hyperbarics, among others, should be considered in the overall health care team. The organization of the team, including definition of the duties of key personnel and even the physical framework of the clinic, contribute to its success in treating patients with prostate cancer. Pitfalls of the process also are discussed in this article. Study design: A retrospective study of spinal cord injury (SCI) treated with and without hyperbaric oxygen (HBO) therapy. Objectives: To report on the use of HBO in spinal cord injury. Setting: Neurosurgical Unit, Tokyo, Japan. 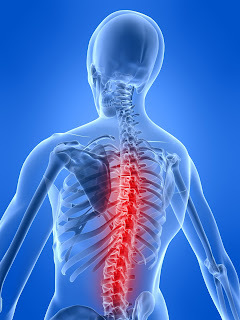 Methods: Thirty-four cases of hyperextension spinal cord injury without bone damage and previous history of surgical intervention were divided into two groups, with (HBO) or without (non-HBO) therapy. The neurological findings at admission and their outcomes were evaluated by means of Neurological Cervical Spine Scale (NCSS) and the average improvement rates in individual groups were compared. Results: The improvement rate ranged from 100% to 27.3% with the mean value of 75.2% in the HBO group, while these values were 100%, 25.0% and 65.1% respectively in the non HBO group. Conclusion: In the HBO group, the improvement rate indicated effectiveness in acute traumatic cervical spinal cord injury. Spinal Cord (2000) 38, 538-540. Encephalitis simply means brain inflammation. The inflammatory reaction not only damages tissue, but also the microcirculation - small arteries capillaries and particularly small veins. The damage to the blood supply is the main determinant of recovery because of oxygen transport limitation. The result is that brain tissue can remain in suspended animation "not dead but sleeping" - simply because of the increased tissue water - edema - chronically preventing adequate oxygenation. The best analogy is a comparison with an electrical device. Imagine coupling a transistor radio - which requires a 9-volt battery to a 6-volt battery - it simply will not work - even if the six-volt battery is capable of delivering thousands of amperes - like a submarine battery. There is nowhere on the surface of this planet that breathing air the oxygen level (voltage) in plasma can exceed about 100 (mm Hg). In a hyperbaric chamber breathing pure oxygen, the level can be increased to over 2000 (mm Hg). This simple and completely scientific explanation for the need for hyperbaric conditions is UNKNOWN to the overwhelming majority of physicians - hence oxygen is not properly used. Neurologists have recognized the need for oxygen. Three of the most eminent neurologists/neurosurgeons of the 80's stated in relation to the ischemic penumbra. "Presumably the critical parameter for tissue function is oxygen availability rather than blood flow." Using hyperbaric conditions allows a decoupling of blood flow and oxygen transport. Astrup J, Siesjo BK, Symon L. "Thresholds in cerebral ischemia -the ischemic penumbra." Stroke 1981;12:723-725. Therefore, if we are to discover if there is recoverable brain tissue we need to reoxygenate. Dr Richard Neubauer has used SPECT imaging to demonstrate this effect and the work is published e.g. Lancet March 3 1990. (1) was the first to publish that it is LACK of oxygen that creates the conditions for free radical damage. He discussed three possible scenarios. 1. The formation of free radicals increases when the level of oxygen in the tissue actually reduces. 2. The accumulation of substances when there is an insufficient level of oxygen causes free radical formation when normal levels of oxygen are restored. 3. White cells are programmed and congregate in the brain during hypoxia and activate the 'respiratory burst' normally responsible for microbial killing. All three are probably valid and are interlinked, but the white cell effects can be seen. Fridovitch predicted the effects link free radical injury to inflammation. In infection white cells stick to the lining of blood vessels at the infection site (2) by detecting changes due to lack of oxygen. In both inflammation and reperfusion injury white cells stick to the lining of blood vessels and then pass through into the tissues to generate a burst of oxygen free radicals to kill the invaders. (3) This defense mechanism is wrongly activated when blood flow is restored in an organ after a period of arrest. Zamboni et al (4) stopped the blood flow in muscle for four hours and on restoring flow found white cells sticking to the wall of veins and then passing through, leading to the death of the muscle tissue. A high level of oxygen stopped the cells sticking and death of the muscle tissue was prevented. The relevance to the practice of Medicine? The use of high dosage oxygen to treat ANY condition where blood flow is significantly reduced or stopped, especially organ transplantation and to protect the brain when the circulation is restored after cardiac arrest. 1. Fridovich I. Hypoxia and oxygen toxicity. Adv Neurol 1979;26:255-59. 3. Babior BM Oxygen dependent microbial killing of phagocytes N Engl J Med 1978;298:721-725. 4. Zamboni WA et al.Morphologic analysis of the microcirculation during reperfusion of ischemic skeletal muscle and the effect of hyperbaric oxygen. Hyperbaric Oxygen reduces inflammation in the Neural pathways, stimulates patients own stem cells for myelin production and restores circulation of compressed nerves.